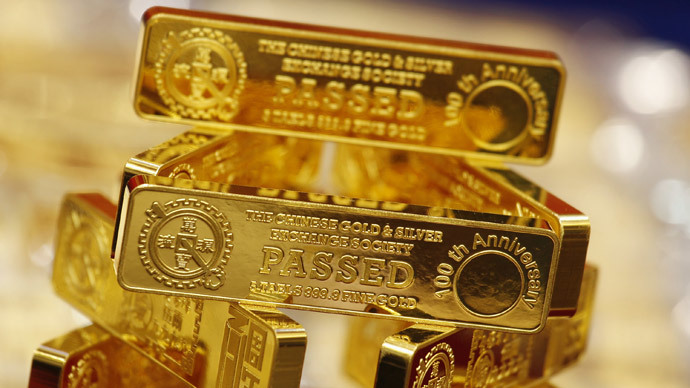 The People's Bank of China may have tripled its gold stockpile since April 2009, when it last gave an official number, which Bloomberg Intelligence estimates to be 3,510 metric tons, second to United States 8,133.5 tons of gold. The figure, almost triple the 1,054 tons of gold reported in 2009, was calculated based on trade data, domestic output, and China Gold Association figures by Bloomberg Intelligence. China, which only reports its gold stockpiles every few years, made a similar move between 2008 and 2009, when it just about doubled the bullion stock. Including gold, China is estimated to have $3.8 trillion in currency reserves, which are also kept secret. The massive increase may be a move to make the yuan more competitive against the US dollar. The People's Bank of China Governor Zhou Xiaochuan has made it an unspoken mission to turn the yuan into a global currency, and an IMF reserve currency. China has undertaken many economic reforms to allow its currency to free float within a few years. The US dollar is currently the most popular reserve currency – accounting for 63 percent of world central bank holdings, according to the IMF. The euro is in second place with 22 percent. In February, the yuan was the seventh most used currency worldwide in SWIFT payments, down from number 5 in December. In 2010, the same year China became the world’s second largest economy, the IMF said the yuan couldn’t be added to the SDR basket because it was too tightly controlled by the state, and not ‘freely usable’. The world’s second largest economy may be giving the US, the world’s largest bullion holder, a run for its money. This isn’t just a title to be won, as it could have a great effect on the stability of the US dollar which could be threatened if China accumulates enough gold.